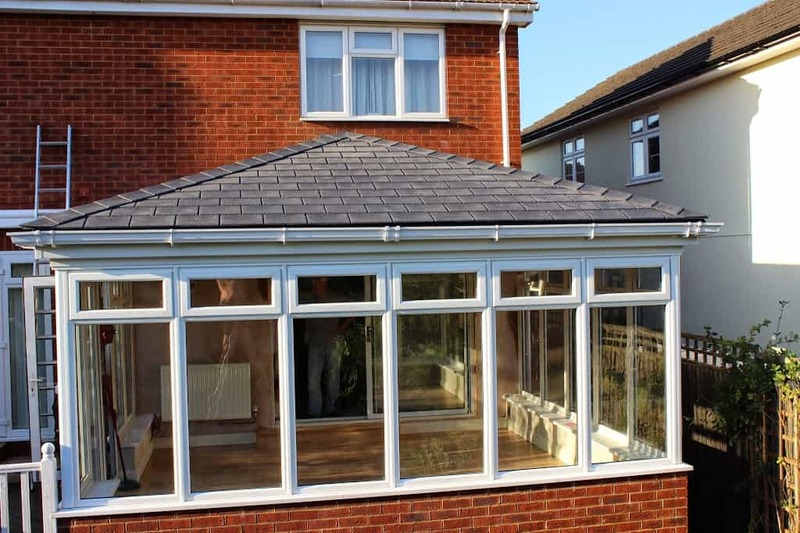 Step 1 – A survey of your existing conservatory is carried out and the suitable roof replacement is determined. 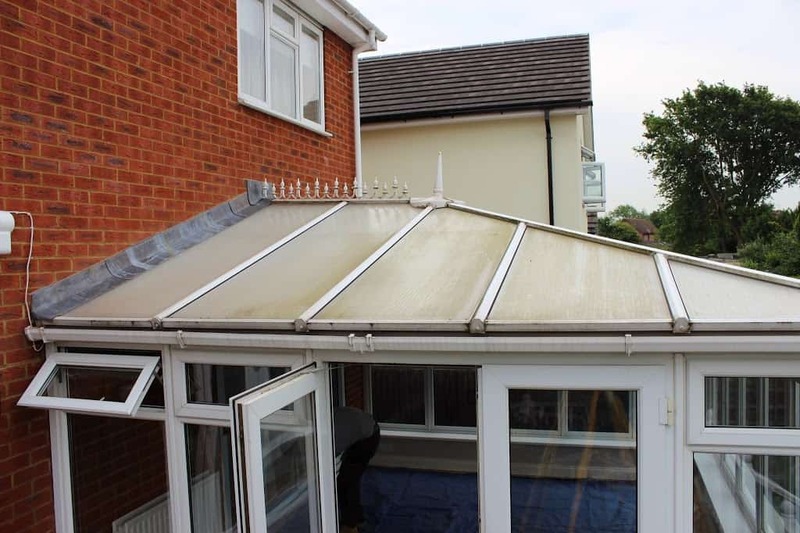 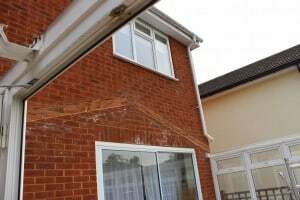 This picture illlustrates a common edwardian style polycarbonate conservatory roof which has a poor build quality and very low pitch given its wide span. 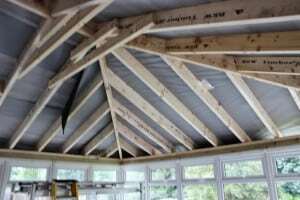 Result a new timber roof construction is required to increase its strength, pitch and thermal performance. 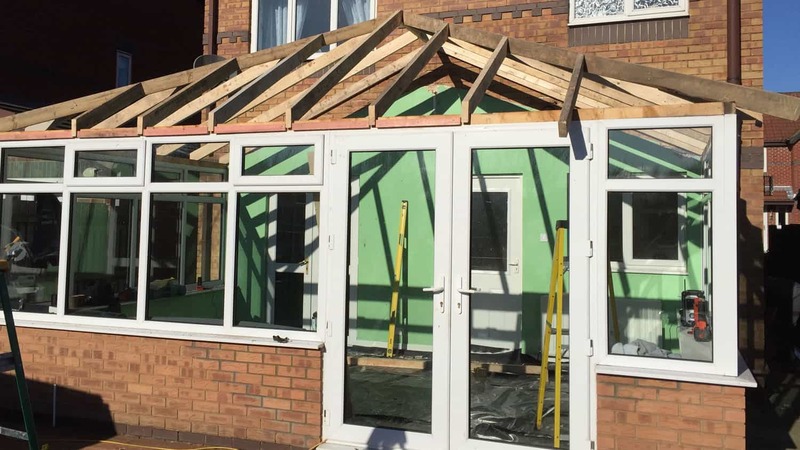 Step 2 – The conservatory roof is carefully removed leaving only the windows, doors and and brickwork in place. 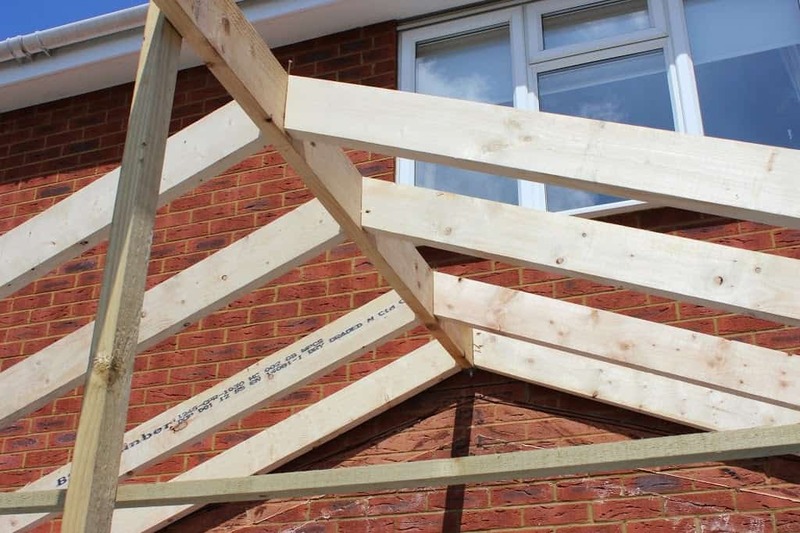 A new timber ring beam is fitted alongside the existing windows to support the new roof structure. 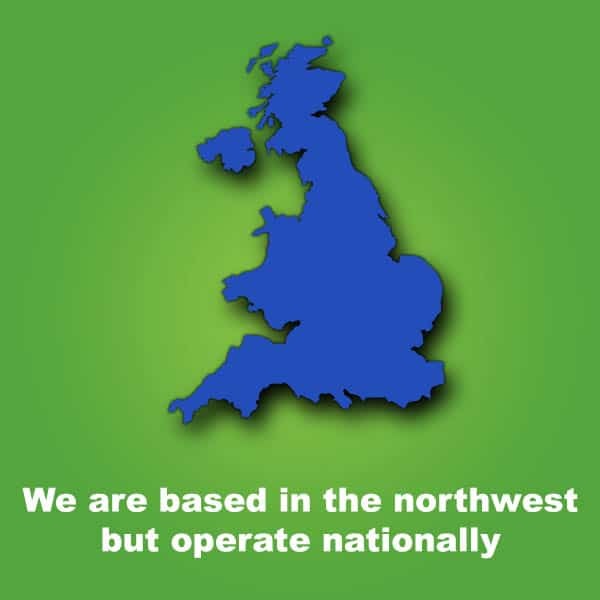 The pitch of the toof is significantly increased to provide additional strength and durability as well as providing a better internal space. 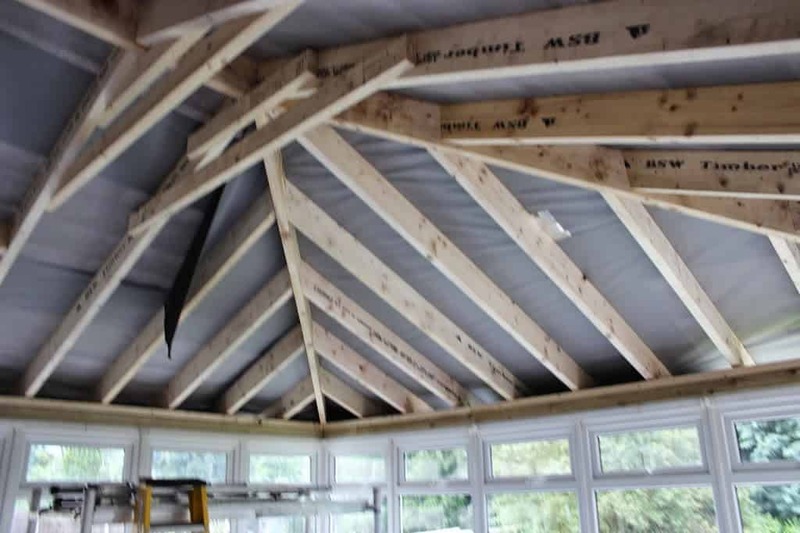 Step 3 – A new timber roof structure is completely made bespoke onsite to your conservatories exact dimensions (same roof structure as you main roof on you house) built using traditional roofing methods. 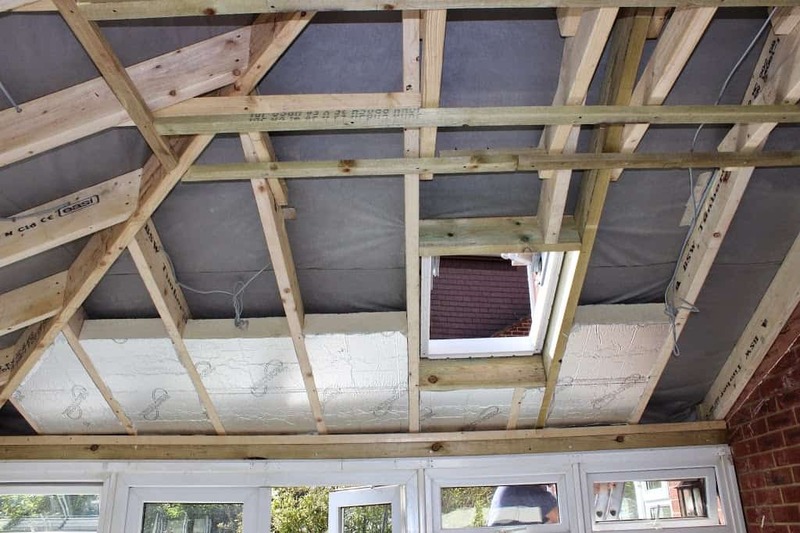 Step 4 – Once the roof structure is built, a breathable membrane is fitted which provides a waterproof barrier whilst also allowing your roof to breath. 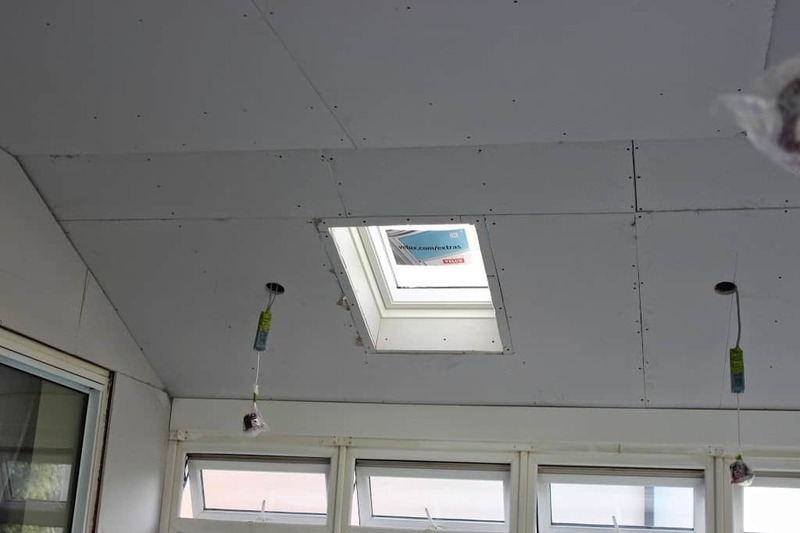 Step 5 – Velux windows are added at this point along with the first fix electrics, 100mm rigid insulation and a vaulted ceiling if required. 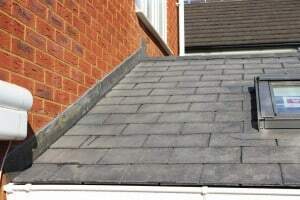 Step 6 – Tanalised roofing batton is added to the external part of the roof which provides a secure fixing point for your chosen Tapco slate tile. Step 7 – Inside is a plaster boarded ready to plastered. 2nd fix electrics are also fitted at this point so they can be tested prior to the roof being plastered. 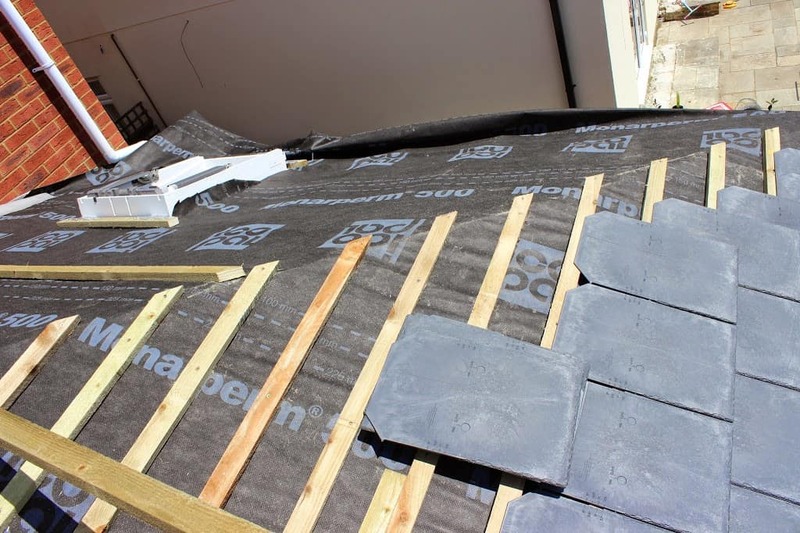 Step 8 – New leadwork is installed on the party wall to terminate the roof and prevent any weather from penetrating the roof. Flash band will be used on all joints prior to fitting the decorative ridge tiles. 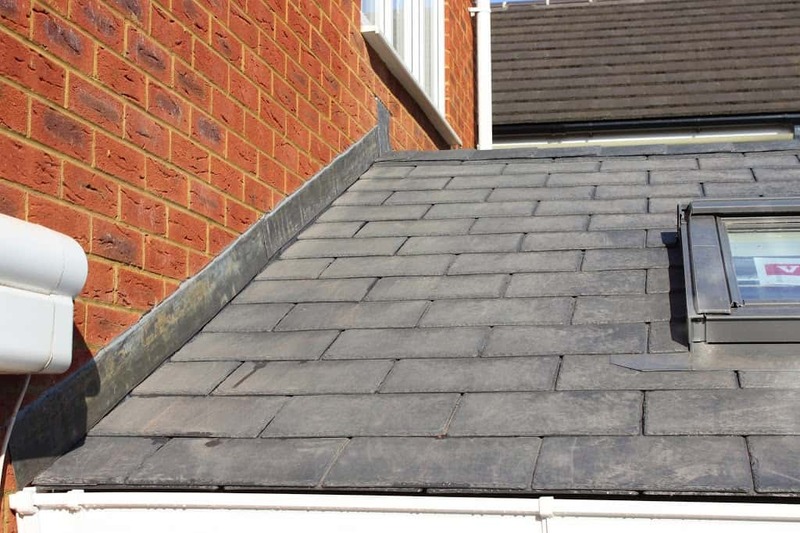 Step 9 – Decorative ridge tiles are fitted along the hips of your roof. 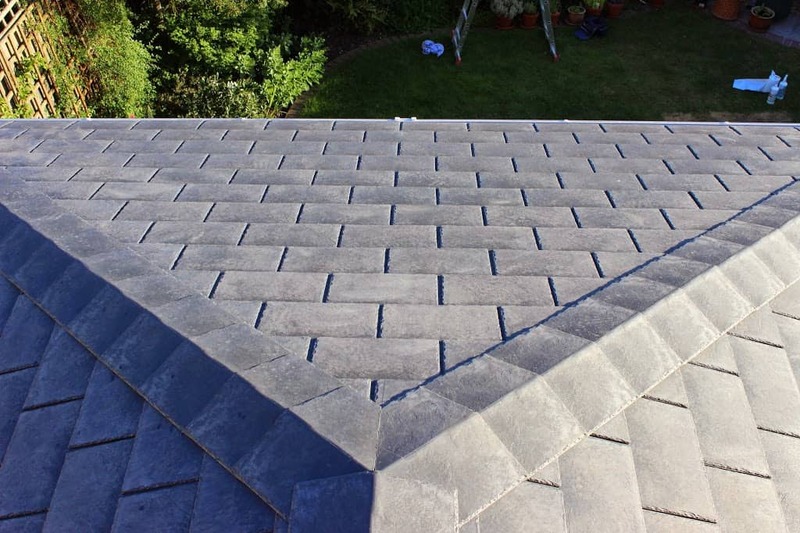 New fascia, soffits and gutters including downspouts are installed complete with an over head fascia vent to prevent the new roof from sweating. 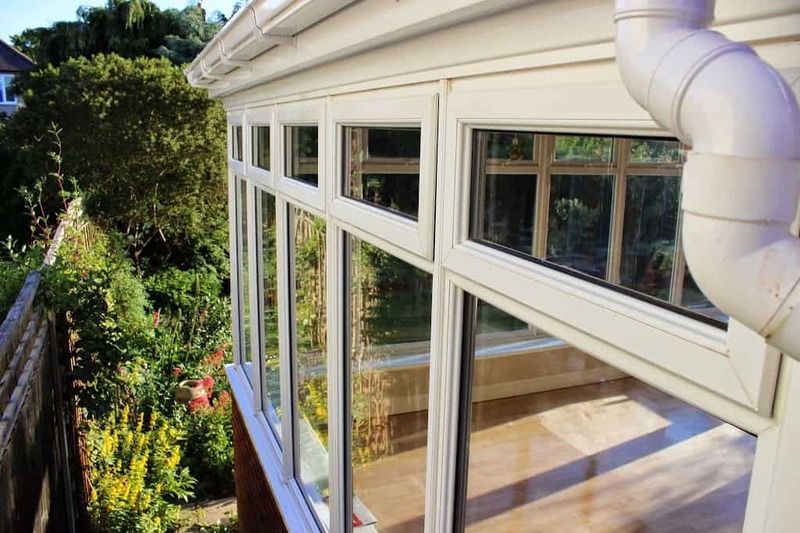 Step 10 – Your new conservatory will get a full clean down both inside and out in a strong UPVC cleaner, all internal window and door handles are replaced with a choice of gold, chrome or white to match the interior downlight. 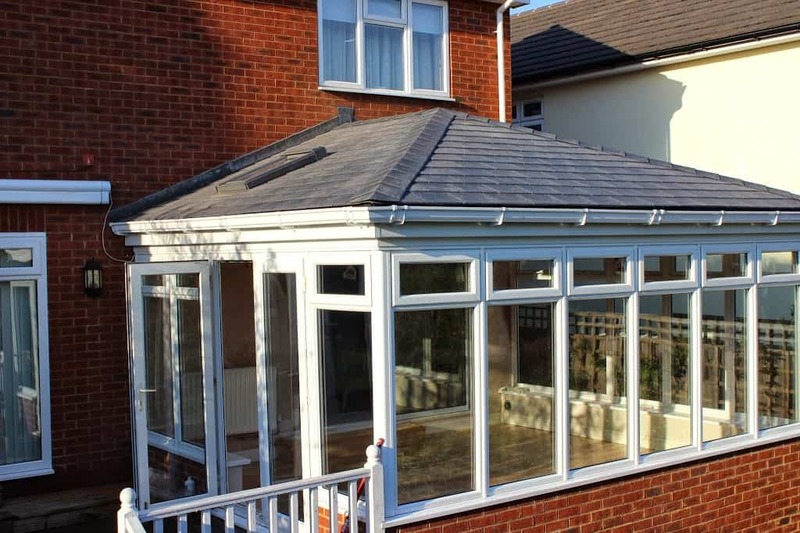 You can now sit back and relax in your new conservatory roof and enjoy comfortable temperatures throughout the year.